Suiba is a standing bar a 5-minute walk away from Hankyu Kawaramachi Station that established a completely new way of drinking in Kyoto, and for this reason, the bar is the vogue among Kyotoites. The concept of Suiba is “Delicious, cheap, fast, fun, and clean.” The bar wants to let all people regardless of their gender and age, enjoy standing bars, which is why the bar is nonsmoking, with bright lights and clean interior. And even though the drinks and food are cheap, they all taste great; just according to the concept. The bar is always a fun place to be, with shouts of joy and smiling faces all around you. After just one visit, you are bound to be hooked on Suiba. I hope you will spend a fun night out at this standing bar you can only find in Kyoto, Suiba. One of Suiba’s specialties is this fatty sashimi that is a must-order at the bar. Sometimes they even have some types of sashimi you don’t normally get to eat! The very reasonable price is one of the charms of Suiba. Draft beer at Suiba can be had for 300 yen. You may think there are not many choices because the prices are so low, but actually, Suiba has a nice selection of authentic sake for reasonable prices! They have all kinds of sake, from refreshing ones to thick and heavy ones. This is for those who like traditional Japanese food. 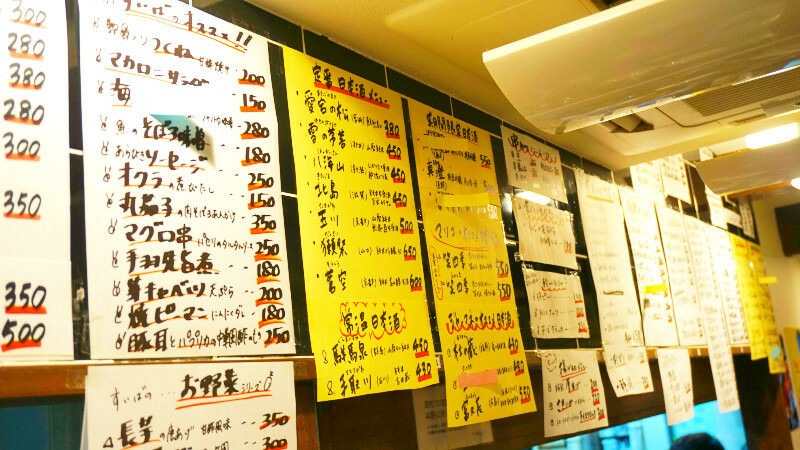 These dishes warm you up with their simple tastes, and they cost only 150 yen per portion. How cheap! They have different dishes every day, and normally they have around 10 on the menu. This renkon (lotus root) curry in the picture is Sharing Kyoto writer Shiho’s favorite; the crunchiness of the renkon and the just-right saltiness of it make it a great partner for beer. This potato croquette is also something loved by Sharing Kyoto’s writer Shiho, and every time she goes to Suiba she orders some. The nostalgic, gentle taste of the potato croquette is delicious. These croquettes are only 100 yen for one. They are really good so I recommend you order one per person. They have an English menu with the dishes and drinks that are ordered most often. You can see their menu all over the bar. 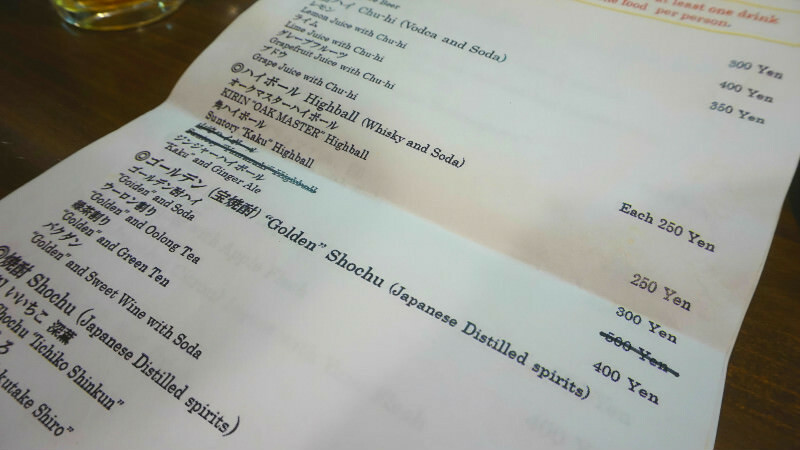 Their sake lineup changes often. If you are in Suiba, you should try to enjoy food with sake. But if you are not really into sake, it may be hard to decide what kind of sake goes best with your food, and what type of sake you would like. So just ask the staff! Use the following phrase, and I’m sure the staff will pick just the right one for you. This is a spacious, trendy tachinomiya, or a standing bar, right by Hankyu Kawaramachi Station! Most people think of tachinomiyas as places where old men drink beer, and women won’t go near, but there is nothing like this at Suiba! This is a tachinomiya where anyone can have fun, be they men or women, young or old. I too often go to Suiba! Tachinomiya standing bars just for some reason are more fun than normal izakayas. This standing bar is located in a small alley, and it looks very trendy. Their famous potato salad and renkon curry both go well with beer and are really delicious! The price of a pint is also cheaper than most places, so the prices here are really reasonable. Although your feet may get a bit tired, I hope you all will come try this truly Japanese experience! Suiba is a 5-minute walk from Hankyu Kawaramachi Station. Every Monday, and the first Tuesday of the month. They have a simple menu in English and the staff is all friendly so don't hesitate to visit. Nonsmoking, but they have a smoking area outside.